Coco by Monthly Press – Writing, discussing, and understanding through literature, pop culture, and black girl magic. Writing, discussing, and understanding through literature, pop culture, and black girl magic. Because my happiness can show in every breath. Because black freedom ain’t just one thing. So what must those people think of me? After all aren’t most people afraid of eternity? Being an alternative black girl in any way shape or form results in critics. It’s not us being over sensitive. It isn’t that we’re all lying, as some suggest. It’s the fact that people are afraid of black women. Across the world we’ve been through that which would break most, and we survive. Wounded and hurting, we survive. Men think they’re entitled to us, other men want to degrade us, and use excuses to justify their internalized racism. Women openly mock us while copying our hair, our nails, and the features that once landed black women in zoos and keeps so many from not being on magazines or billboards. We’ve been taught to hate each other and be suspect. The world has been taught to put us in a box, to keep us oppressed and control what the very concept of blackness is or should be. And we laugh in their faces, and as more and more soft, original, punk, afro-centric, nerdy, geeky, brilliant, and beautifully soul’d black women support each other we’ll just laugh harder. We’re not black enough? I make my own blackness, and how dare they try to define it for me or anyone else. I’ll put color in my hair, I’ll read my comics, dress up as She-Hulk, write my stories, read about technology, date a white, date an asian boy, date whomever I please, and all the while I’m still black. All the while I and all the other black girls who embrace themselves and their loves are still cosmic. Howdy, so I’ve not been abducted by aliens (yet), but I’ve been largely and somewhat sadly absent from this blog. My absence is in part due to the drain of school work and the struggle of not having the energy and drive to continue throughout the semester However I have some thoughts I’d like to share, as I get back into the habit of posting. While sitting at my internship or staring dead-eyed into the pages of a textbook all I want to do is write more. Even when I’m doing nothing the urge to write is there when the ideas are not. You can imagine how frustrating it is to have such a strong desire, but then look at the page and NADA! NOPE! Brain gone bye-bye. Still this has been somewhat affirming because that means I really care about writing. Oddly, this has also driven me to pursue submissions to various magazines again. Last year I submitted to about 20 different places and heard back from ,I think, two if any. I wasn’t angry or depressed about it. The situation just made me switch focuses as I kept hustling. I resolved to try and improve my submissions, but I stopped because while some people can operate without direction I can’t. So I figured I would take my time to develop and finish some stories…which brings me to another issue. As I’ve been thinking and planning submissions I’ve found myself struggling with something I have been trying to fight…I very rarely finish my stories. I’ve been trying to figure this out for years now and while the usual answer authors give is that they lose interest…I think I have another problem. Finishing stories, as I have been, is both satisfying and frightening. A finished story can disappoint you, and worse to make it shine it has to be developed, which means possibly discovering the story isn’t actually good. Call it commitment phobia, but it really stinks.Concluding a story even to later edit it seeds this strange doubt that I can’t quite get over except by forcing myself to write more. Truthfully I think this can be easiest when I limit distractions, turn off wi-fi and ignore everyone. This isn’t a matter of just being distracted, but of forcing my brain to focus. Now if I can’t write regardless then I won’t write. Why? Chances are I will barely string words into a pleasing sentence. But those things are actually a very small part of the issue. The truth is it is hard to finish a story when that means finishing the story. I hate good-byes. I do. I have a problem letting go for a whole host of reasons. Over the last week I have been using submission deadlines to push me. A wonderful example of analysis of the hero and the importance of relationships. This article was originally published at Comics Bulletin on May 26, 2016. 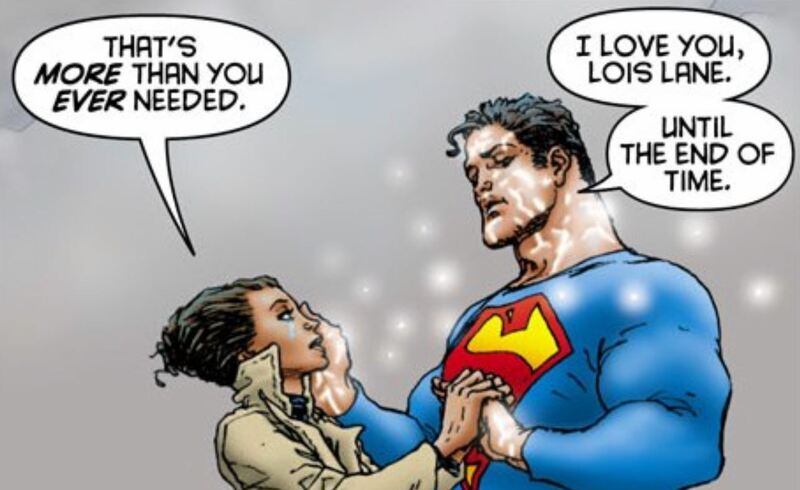 Why are the best superhero comics love stories? Cover and Titles that rock. Blurb: Play the Piano introduces Charles Bukowski’s poetry from the 1970s. He leads a life full of gambling and booze but also finds love. These poems are full of lechery and romance as he struggles to mature. This is such a visceral and potent piece. I highly reccomend you read it. A writer I know rather well with an enjoyable writing style has put out this awesome read, and I’m so excited to read him again. Go give a little love, why don’t you? I highly reccomend that everyone try to incorporate reading three micro fictions a week. They’re quick ways to get your imagination engine running. For writers they’re amazing ways to learn and practice how to condense a story. For readers, especially of genre fiction, this gives you a quick potent fix of your favorite stories. We don’t always have time to sit down and read a whole chapter, needless to say a whole trilogy. Seeking out micro fiction can be a great way to get a wonderful story into your day’s schedule. They’re short enough for lunch breaks or coffee breaks. They’re great for when you just can’t concentrate on anything for long periods of time. Being mom or dad or gran, or babysitter means you do a lot of running around, but you just might be able to read a whole piece of micro fiction before someone needs their next cup of juice because they changed their mind about wanting the glass of milk you poured five minutes ago. By searching blogs for short fiction, or buying collections on kindle or nook you may find exciting new authors and stories that stick with you forever. Trust me the right micro fiction by the right author is totally worth it! Continuing with the Southern Gothic theme of the last post, here is the current opening of the novelette I mentioned, The Hell I Burn Through. Incense mingled with the smell of soil, salt, roses, and graveyard dust, filling Sula’s nostrils, as She sat in the darkness of the parlor. She exhaled, holding her hands out over the water bowl in front of her with her eyes closed. She inhaled again, and got a strong whiff of the graveyard, mossy, yet almost like rotten thyme and cooked spinach. Maybe it was strange she’d come to like it, but growing up around goofer dust,taken from old cemeteries, had that effect on those who’d grown up in that world. Miss Faye hated that word, goofer. Apparently it sounded far too low country for her tastes. No matter what you called it, Sula found its comfort. Somehow it still didn’t feel like she could breathe the air, despite this being her element, her birthright. The tension in the house was already thick, and it felt all the thicker when Miss Faye gave her work. But that was simply what life in the house entailed, and always had. In her mind, Sula saw the room as though her eyes were wide open. Sula knew which way the flame of each of the twenty seven white and black candles around the room flickered, and she knew what direction Miss Faye, in her ocean blue headscarf and yellow flowers chose to pace. She could see herself too, sitting at the little table at the center of the room with the bowl in front of her, the woven dime bag satchel of whatever bodily matter brought to use to the right of the bowl, and the burning incense in front of the bowl. The bowl held filtered rain water and her reflection, which was almost perfectly still due to the bowls construction. Supposedly, according to Miss Faye, it’d been a gift for Sula though Sula was only allowed to use it when Miss Faye asked. Some people called helping themselves a gift, Sula knew, and Miss Faye had always been one of those. Well, at least, as long as Sula had been alive. Sula peered directly at herself, and realized she still had some sleep dust in the corner of her eye and that if the shoulder of her blouse fell you could see where Miss Faye had taken a switch to her shoulder yesterday. The bruise was a deep purple against her brown skin. If Sula couldn’t do what Miss Faye wanted today? Well, then she’d be in for a world of hurtin. She had to focus. She had to breathe. There was nowhere else. No one else. There was life and there was death. There were no borders except the ones she’d been taught, and she’d been taught to break them down to find the universal connections between past and present; here and there. Somewhere a distant ancestor’s breath matched her own. Somewhere a flower blossomed. Somewhere became everywhere, and Sula breathed. From the recesses of her mind her grandfather whispered “Let yourself fall,” and she, ever the obedient girl, slipped down into everything. Before her eyes, in the dark, glitter began to flicker and there came her target, Mr. Johnson. He was a kind man to children, and often gave Sula fresh fudge from his cart for free every Christmas, and whenever he’d been by to see Miss Faye. His bald held gleamed, his once muscular body stretched from a yawn so big his fifty year old round belly jiggled. Once upon a time Miss Faye had been crazy about him, but she’d been crazier about the social club Mrs. Johnson headed. Sula was gonna miss that chocolate and gooey fudge. The Hell I Burn Through is a southern gothic of intriguing whimsy and fascination with the world of southern high society, african american conjure, mojo, sensuous affairs, innocent loves, and good down home cooking. The promotional cover! Coming this Fall to a Kindle near you.